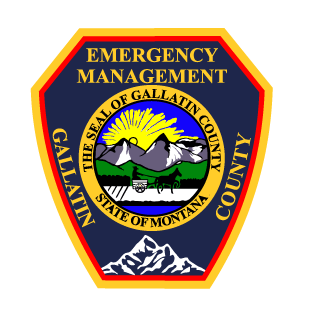 Gallatin County Emergency Management’s mission is to minimize loss of life and personal injury, damage to property and the environment from disasters, both natural and man made. We will diligently work to enhance our all-hazard emergency management program. 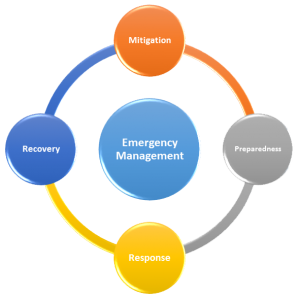 We strive to accomplish this through a continuing program of outreach, coordination, planning, training, and exercising, for “all hazards” and for all four phases of emergency management — mitigation, preparedness, response, and recovery. Maintain a prepared and resistant community. Support a coordinated interagency response. Maintain a resilient local government. Gallatin County utilizes three forms of agency identification; a logo, shoulder patch and badge. All three are not to be duplicated, or utilized, without written permission from Gallatin County Emergency Management on a project specific basis. Media Outlets may utilize the logo for stories specifically about Gallatin County Emergency Management. 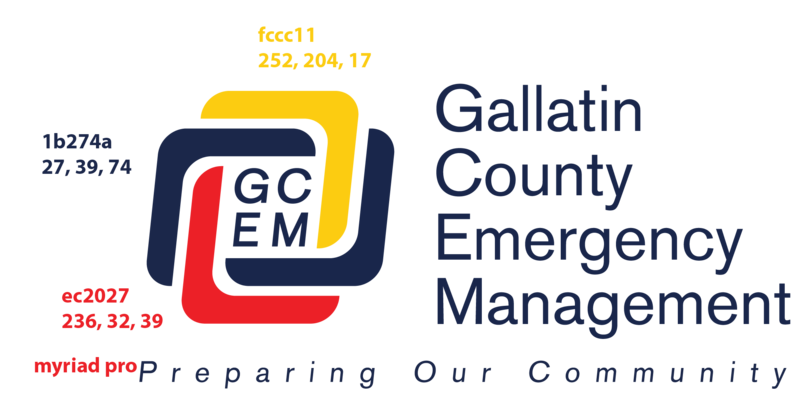 Gallatin County Emergency Management’s logo is the primary graphic identifier for the agency. It is utilized for most general access uses such as websites and written correspondence. 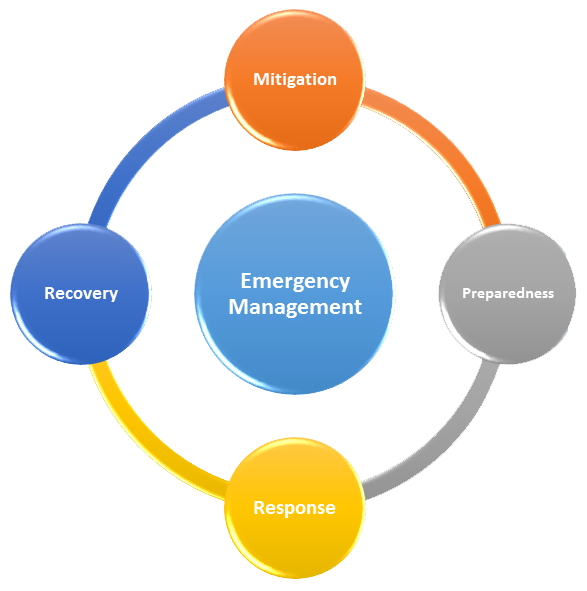 The spoked logo represents the four phases of emergency management and how they interconnect for a comprehensive program. The logo also incorporates the agency name as well as the motto. The logo is typically not split apart with the spoked image separate from the words. 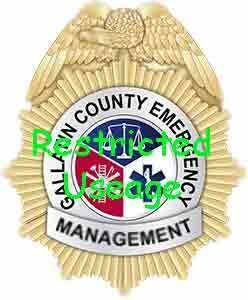 Gallatin County Emergency Management’s shoulder patch is intended primarily for use on uniforms, outerware and vehicles. In some limited cases due to orientation or colors, it is also utilized in place of the logo. The patch is a more formal part of identification that portrays a more formal government appearance that is typically associated with formal situations. 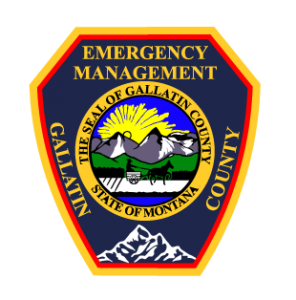 Gallatin County Emergency Management’s badge is intended for use with uniform attire that is utilized in a formal setting. It is only utilized for uniforms or in physical form for identification on incidents.